Are you being served? Thanks to Avanti, you’re about to be! With a myriad of shining serving vessels and prep tools in their wings, Avanti fly in to your kitchen to inspire your everyday cooking. Bring some celestial charm to your sweet treats this festive season with Avanti’s fantastic Star Cookie Cutter Set. Within this set are five differently-sized star-shape cutters that can be used for cookies, scones, gingerbread and much more, while the vibrant colours and fun designs are sure to encourage your child to have some fun in the kitchen. Each cookie cutter is set in a different vibrant colour. Perfect for making a variety of sweet treats. Presented as a set of five in an Avanti storage container. 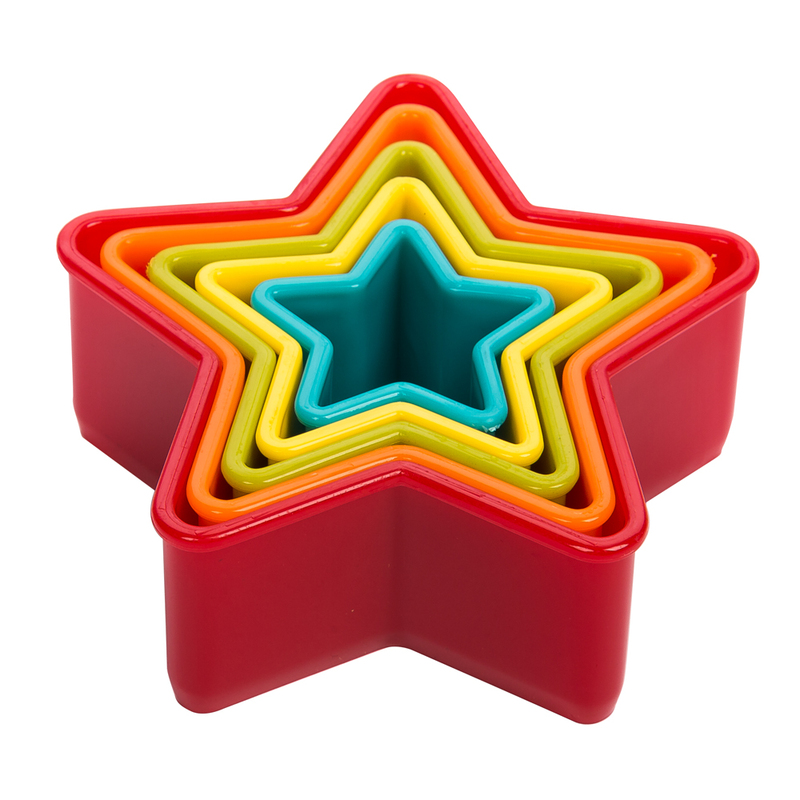 Red Star Cookie Cutter – 10cm (l). Orange Star Cookie Cutter – 8.6cm (l). Green Star Cookie Cutter – 7.2cm (l). Yellow Star Cookie Cutter – 5.9cm (l). Blue Star Cookie Cutter – 4.3cm (l).